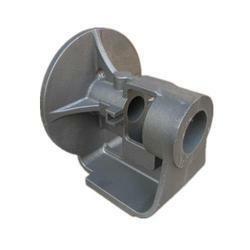 Our product range includes a wide range of iron casting parts. In order to append and respond to the assorted requirements of respectable clients, we are able to offer Iron Casting Parts. With the support of our deft professionals, these parts are manufactured at our premises with the optimum grade raw material. Available in different sizes, the offered parts are widely used in petrochemical, automobile, and other sectors. Apart from this, our provided parts are rigorously inspected against numerous quality parameters to dispatch a hassle-free range at users' end. Looking for Iron Casting Parts ?